After breakfast depart for sightseeing tour of Delhi visiting New and Old Delhi. After breakfast transfer to airport for flight to Lucknow. Upon arrival at Lucknow, drive to Sravasti visiting Saheth-Maheth, Jetavana, ruins of Anandakuti and Gandhakuti, Pakki Kuti, Temples and Monasteries of Sri Lanka, China, Myanmar and Thailand and Jain Temple. After breakfast depart Sravasti for Lumbini en-route visiting Kapilvastu and see the Eastern Stupa, Suddhodana's Palace, Sri Lanka Monastery and Temple and Mahinda Mahavihara .After sightseeing proceed to Lumbini arriving in hotel. After resting in Hotel for sometime depart to visit the Rummendei Pillar, Mayadevi Temple, Lumbini Dharmodaya Samiti Dharamsala, Dharmaswami Maharaja Buddha Vihara, Monasteries of Myanmar, China, Japan, Korea and Thailand and Lumbini Research Institute. After breakfast depart Lumbini for Kushinagar arriving in Hotel. 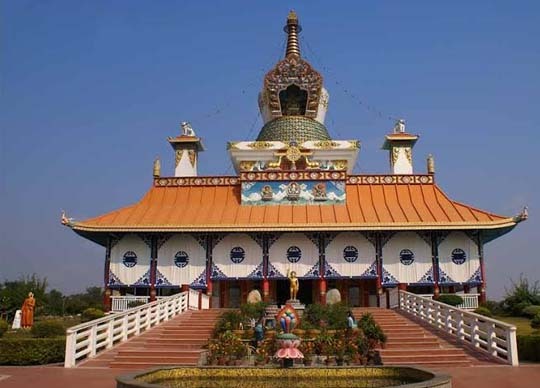 Kushinagar is the place where Lord Buddha attained Mahaparinirvana or the final exit from the earth. Visit the Mahaparinirvana Temple, Sri Lanka-Japan Monastery, Burmese Chandramani Bhikshu Bharamasala, Chinese Temple, Sri Lanka Japanese Foundation Meditation Center and Kushinagar Museum. 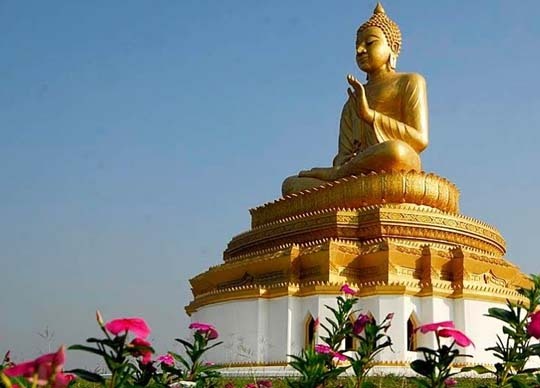 After breakfast depart Kushinagar for Patna en-route visiting Vaishali ,visiting the Kutagarshala Vihara or Buddhist Stupa 2, Abhishek Pushkarini or Coronation Tank, Stupa 1 or Relic Stupa and Site Museum in Vaishali. After sightseeing of Vashali depart for Patna arriving in hotel. After resting in Hotel for sometime depart to visit Kumrahar, Patna Museum, Gol Ghar, Patthar Ki Masjid, Gurudwara Harmandir Sahib, Jalan Museum and Gulzarbagh. Early in the morning depart Patna for Bodhgaya en-route visiting Rajgir and Nalanda, visiting the Gridhakuta Hill by the cable ropeway to see the stupa built by the Japanese. 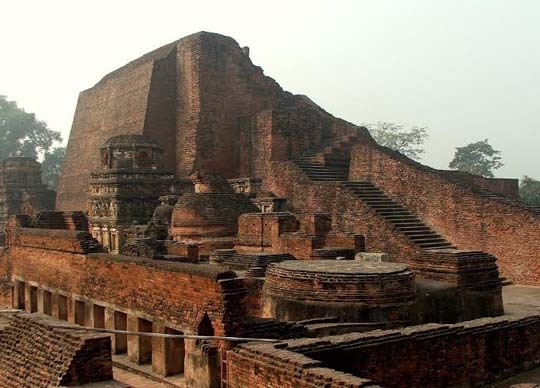 Nalanda was one of the greatest learning centers of the world. After seeing Rajgir and Nalanda drive to Bodhgaya arriving in hotel late in the evening. 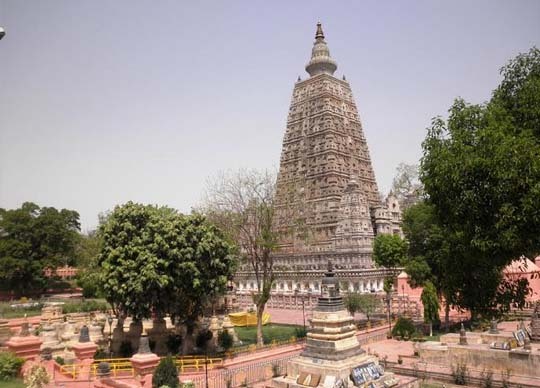 After breakfast depart for sightseeing of Bodgaya visiting Mahabodhi Temple, Mahabodhi Tree, Animeshlochana Chaitya, Ratnachankrama or Jewel Walk, Ratnaghar Chaitya, Muchhalinda Pond, Bodh Gaya Museum, Magadh University Tibetan Monastery and Monasteries. After breakfast depart Bodhgaya for Varanasi arriving in Hotel. 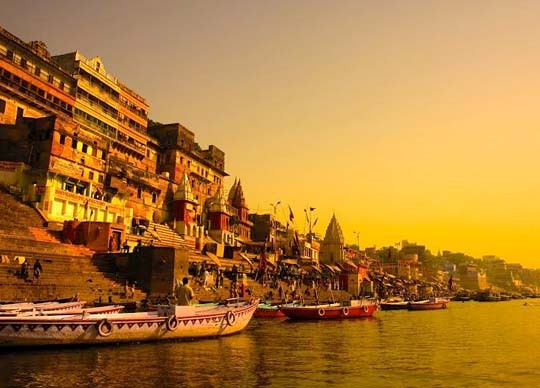 After settling down in Hotel depart for sightseeing of Varanasi city visiting Dasashawamedha Ghat, Manikarnika Ghat, Manikasrnika Kund, Kashi Vishwanath Temple and Banaras Hindu University. After breakfast excursion to Sarnath guide visiting: Ashoka Pillar, Dhamekh Stupa, Dharamrajika Stupa, Mulgandhkuti Vihara, Chaukhandi, Sarnath Museum and Mahabodhi Society. After visiting Sarnath drive to Ghats to seeing the Aarti ( Pooja) on the Banks of River Ganges. Early in the morning boat excursion to visit various Ghats on River Ganges the holy river of great importance within pilgrims. After breakfast depart for sightseeing of Varanasi City visiting Golden Temple- the most sacred shrine, Gyan Vapi and Banaras Hindu University and later depart for flight to Delhi. Assistance upon arrival for flight to onward destination.